CDP choline has been proven effective in treating and preventing memory problems related to aging and other factors. Product reviews and customer reviews suggest that CDP choline is safe and effective for use as a brain supplement, either alone or combined with other nootropic ingredients. At Smart Pill Guide, you can learn more about this chemical and other quality nootropics. CDP Choline is used to treat strokes and related memory problems in Japan and some parts of Europe. It is becoming increasingly popular in the United States in memory and brain enhancing supplements. The neuroprotective molecules support brain health, boost concentration, and enhance learning and memory. CDP choline releases two components, known as choline and cytidine, which are absorbed and transmitted to the central nervous system. 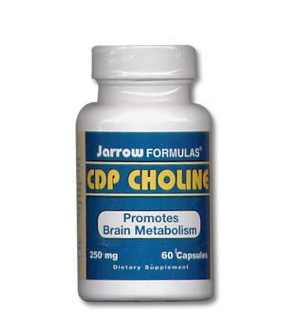 CDP choline enhances cerebral metabolism and acts on various neurotransmitters in the brain. In addition to being used for stoke patients, it is safe for patients with Alzheimer’s disease, head trauma, and cognitive disorders. CDP choline is used in quality supplements, such as Luminol to boost memory, mental performance, and cognitive function. The top performing supplements use a combination of high quality ingredients to produce results. This chemical is sometimes combined with other nootropics, including some in the racetam class. The combination is especially effective for boosting memory and learning ability. Supplements containing CDP choline have specific dosing instructions from the manufacturer. It is always recommended to take memory supplements according to the dosage instructions on the package or the directions of a medical expert, when using the pills for a specific injury or medical condition. Taking any supplement above the recommended dosage can result in side effects. CDP choline in powder and capsule form has been shown to be safe and effective for cognitive enhancement without side effects. Although there are no serious side effects, when CDP choline is combined with nootropics in the racetam class, headaches are a possible side effect. It is generally a good idea to consult with your physician to ensure that the supplement you are taking is safe for you and won’t interact with other prescription medications that you may be taking. When shopping for memory supplements, you may wonder, does it work? This question needs to be considered in the context of the goals you are hoping to achieve. People purchase supplements with CDP choline to gain specific benefits. For example, some are interested in boosting memory and preserving cognitive function, while others are interested in a product to help with a specific condition, injury, or disorder. At Smart Pill Guide, you will find informative blog articles and independent reviews of the top rated memory supplements containing CDP choline and other essential ingredients for enhancing cognitive function. We encourage you to read and compare product reviews of the best rated nootropics to make an informed decision.